Dr. Donovan is the Director of the Pellegrino Center for Clinical Bioethics at Georgetown University Medical School, and a Professor in the Department of Pediatrics. He is a clinician ethicist with over 25 years experience in the field. He began his training as a Visiting Scholar with Dr. Edmund Pellegrino at the Kennedy Institute of Ethics of Georgetown University, in 1989 – 90. It was during this time that he began his studies that led to his earning a Masters degree in bioethics from University of Oklahoma. At the request of Dr. Pellegrino, he returned to Georgetown in 2012, as Director of the Pellegrino Center. 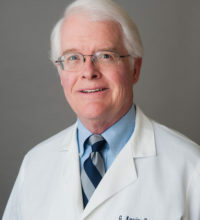 Prior to his return to Georgetown, Dr. Donovan had served as Section Chief, Vice Chair, Interim Chair and Professor of Pediatrics at the University of Oklahoma College of Medicine – Tulsa, where he was the founding Director of the Oklahoma Bioethics Center. Dr. Donovan received his undergraduate degree from Notre Dame, his M.D. from the University of Oklahoma, as well as his Masters in Bioethics. He trained in pediatrics at Baylor College of Medicine, completed fellowships in pediatric gastroenterology at the Children’s Hospital of Oklahoma and the NIH in Bethesda, Maryland, and is board certified In Pediatric Gastroenterology. His national memberships have included the American Medical Association, the North American Society for Pediatric Gastroenterology, the American Academy of Pediatrics (G.I. and Bioethics Sections) and the Kennedy Institute of Ethics, where he has now been appointed a Clinician Scholar. Dr. Donovan has published articles on both pediatrics and bioethics, and has spoken extensively on both subjects at the local, national and international level on four continents. He has been interviewed and quoted on NBC, NPR, EWTN, and Al Jazeera, as well as the New York Times and the Washington Post, among others. He was awarded the Humanism in Medicine award from the Gold Foundation, which recognizes physicians to have successfully integrated humanism into the delivery of care to their patients and families. Dr. Donovan also received the Founder’s Award for Outstanding Contributions to Research and Medicine from the University of Tulsa, an award sponsored by the Oklahoma chapter of the Crohn’s and Colitis Foundation of America. He has been listed in Who’s Who in the World, as well as Best Doctors in America, and Top Doctors in America.